The “Speak Out” Challenge! offers all state schools in London and Essex the opportunity to train Year 10 students in the art of public speaking. Through a knock out process the best speakers are identified to go on to an inter-school competition for the chance to be Regional Champion. The “Speak Out” Challenge! is the largest youth speaking event in the world, in which around 18,000 teenagers are trained every year in over 550 schools. The main aim of this is to give them better life chances, to increase their confidence and improve their employability. This is the thirteenth year the Jack Petchey Foundation has funded the initiative. 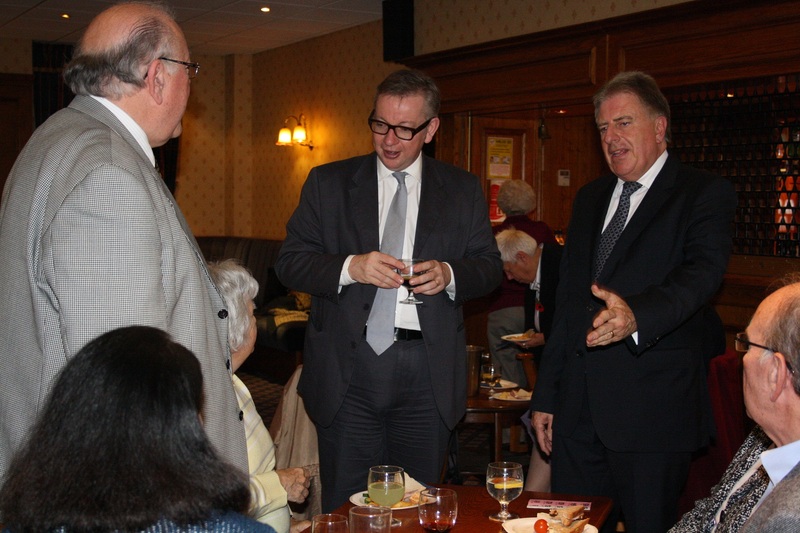 Among those attending last night was Rt Hon Sir David Evennett, MP for Bexleyheath and Crayford. Sir David is pictured with the winner of the Bexley Regional Final, God’s Favour Oluwanusin, who studies at Bexley Grammar School. At the end of May, 15 Regional Champions will be selected at the Semi Final to compete at the Grand Final and in July the 15 Grand Finalists will speak on a stage to an audience of over 1,000 people.